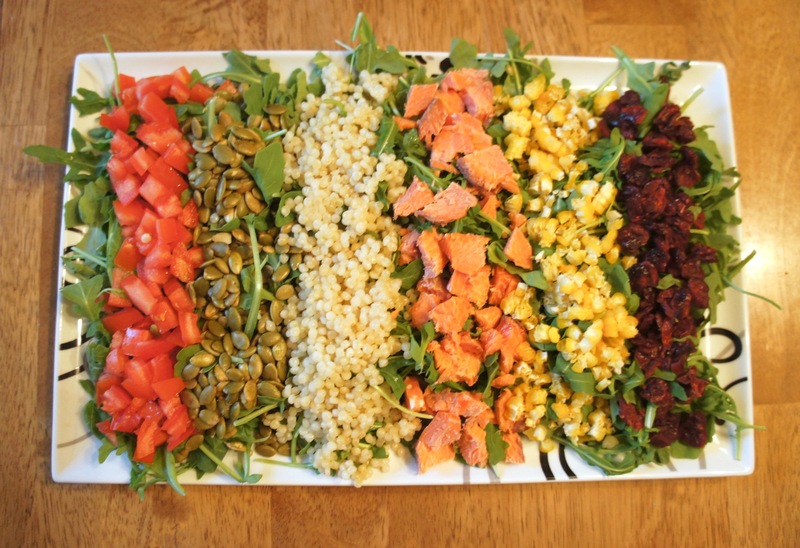 Smoked salmon is one of those foods that polarizes people. You either love it or hate it. I happen to fall into the former category. I love smoked salmon for its high omega 3 content, its smoky flavor, its chewy coolness, and the way it slices so clean with a sharp knife. Is that not sooooo satisfying to watch? My husband, on the other hand, falls into the “hate-with-the-heat-of-a-thousand-burning-suns,” “vomit-vomit-vomit” smoked salmon camp. It’s ok. I get it. It’s an acquired taste–and even more so, and acquired texture. (Is that a thing, “acquired texture”? That’s going to be my new phrase for velour jumpsuits and those reversible sequin unicorn pillows my 7-year-old adores.) Anyway, it’s all right if the cold-and-clammy texture of raw fish doesn’t appeal to you. 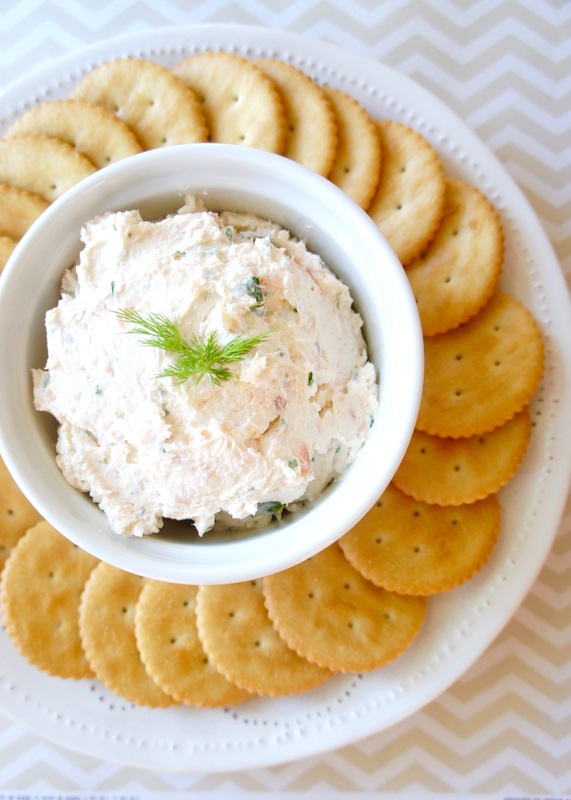 But I think there’s still hope for you to like smoked salmon in the form of this delicious Creamy Smoked Salmon Dip. 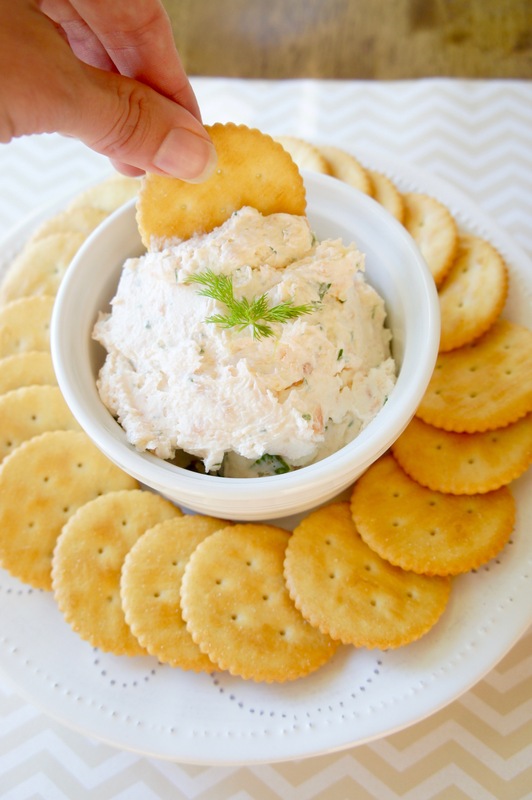 Although the signature taste of smoked salmon comes through in this appetizer, its usual fishy texture is nowhere to be found, pulverized into oblivion by your friendly food processor. 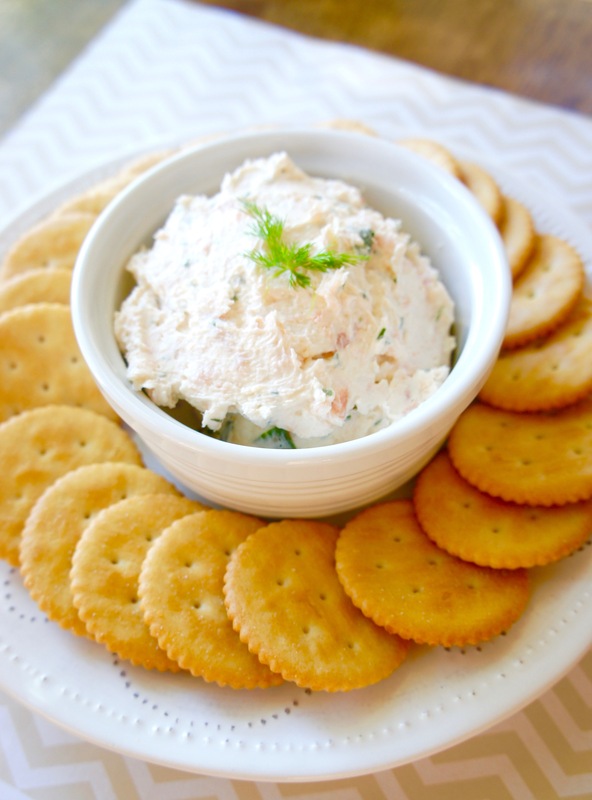 What’s left, when blended with cream cheese, lemon juice, horseradish, fresh dill, chives, and a few other simple ingredients, is a creamy, herby dip that’s perfection on butter crackers, crudités, or as a spread on toast. Since my husband and kids aren’t fans of smoked salmon in any form, I’ve been powering through an entire batch of this by myself this past week, and I am not mad about it. Now that we’re a couple of days into Lent, which means no meat on Fridays for me, I plan to make it again as a staple for a light lunch. 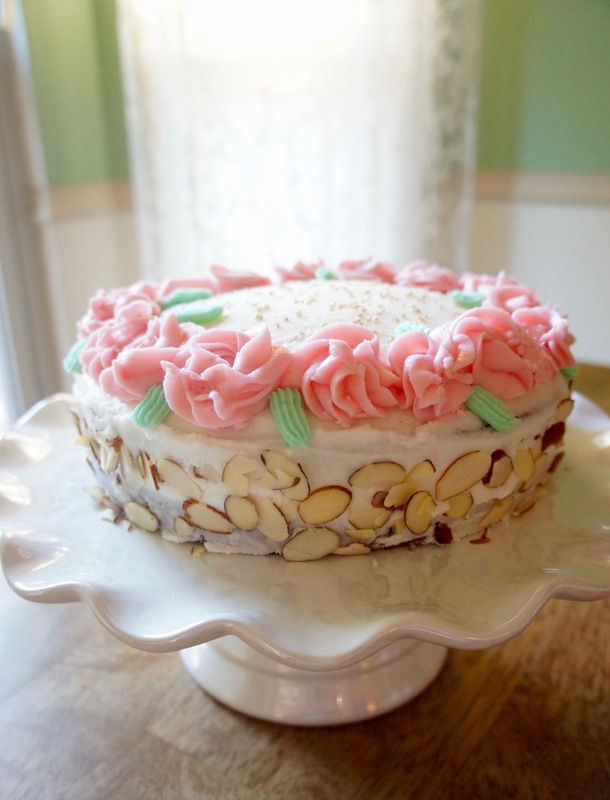 But it would serve just as well in a brunch, a classy baby shower buffet, or as a pre-dinner appetizer. So how about you? Where do you stand in the Smoked Salmon Debate? And do you think this tasty dip could change your mind? Let me know in the comments! A creamy, herb-y dip packed with brain-boosting omega 3s. 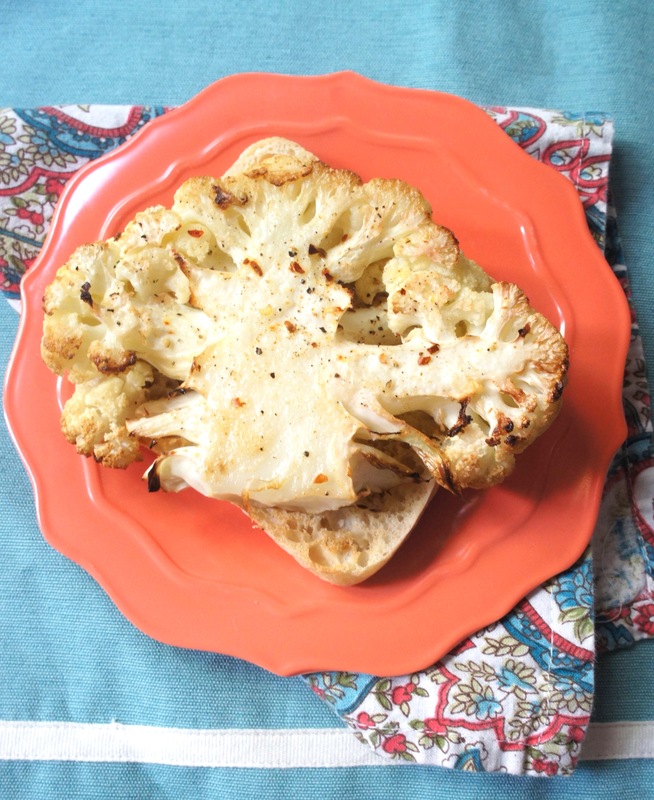 It's perfect on butter crackers, crudités, or toast! Pulse all ingredients in a food processor until well blended and consistency reaches your liking. 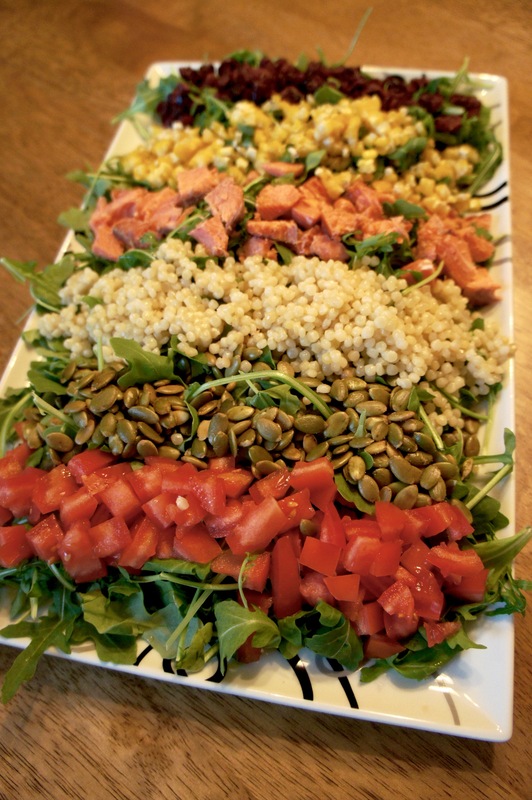 Serve with crackers, fresh vegetables, or on toast or bagels. Store covered in the refrigerator. At the children’s museum where I work, there’s an exhibit called Marketplace, which is essentially a mini grocery store engineered just for play. When I give tours to field trip groups, this exhibit is where I educate kids about the various food groups as outlined on MyPlate. I explain to them that MyPlate not only shows the five food groups, but also what portions of them we should fill our plates with (as in, 50% fruits and vegetables). Part of my spiel in this exhibit is asking kids to tell me examples of their favorite foods in each group. They usually do pretty well on fruits, vegetables, and dairy (except for the occasional kid who tells me that pigs give us dairy products or that oranges are their favorite vegetable), but they are often stumped when I ask them to name foods that contain protein. I can’t tell you how many times kids’ ideas of protein-rich foods are protein bars or protein shakes, rather than natural food sources. Granted, these kids are often second graders, so I have to give them a pass, but as a nutritionist, it’s surprising to me that the school curriculum covers so little about food and nutrition. Once we get through the idea that protein is found in animal products and some non-animal products, I ask the students again: which protein-containing foods are your favorites? Steak. Steak is the answer about 80% of the time. I then ask kids about plant-based protein sources. Have they ever, for example, tried tofu? Come on! I want to say. You’re eight years old and your parents have already ruined you for tofu? But it’s true–ever since Americans first started experimenting with tofu in the ’70s and ’80s, it’s been saddled with a reputation as the flavorless poster child of the Health Food Movement. It doesn’t have to be that way. As a meatless protein source, I find tofu easy to prepare, cheap to purchase, and a flavor chameleon that can adapt to anything you throw at it. Case in point: these delicious barbecue tofu sandwiches with veggie slaw. I’ve had tofu in many forms over the years, but the idea of slicing it and putting it in a sandwich was new to me when I first saw this recipe. Now that I’ve been making it for awhile, I can see how the shape and texture of pan-fried tofu sliced off the block is perfect sandwich material! 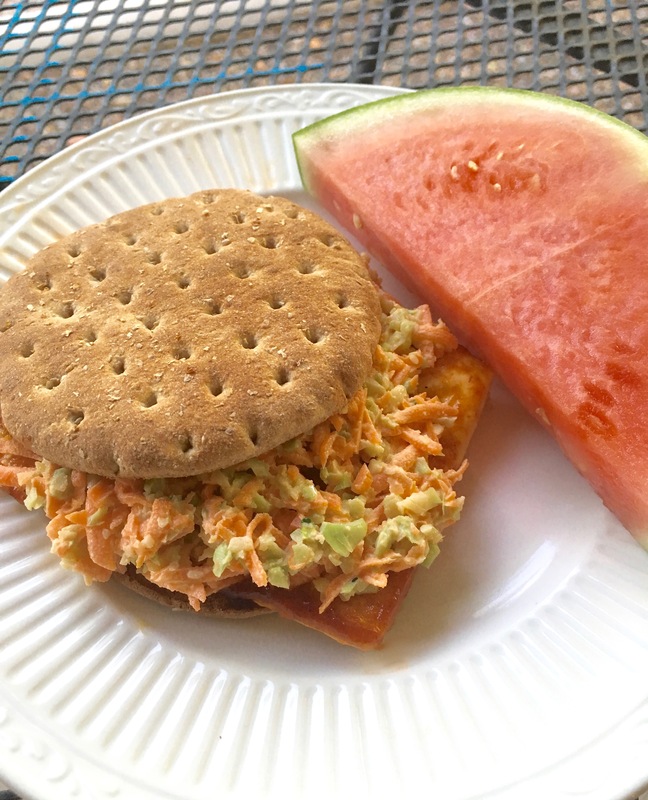 Slathered with barbecue sauce and topped with a cool slaw, these barbecue tofu sandwiches are a super tasty (and totally think-outside-the-box) weeknight dinner. So if someone asks MY favorite protein-containing food? Well, I won’t say they beat a juicy steak, but I will say these barbecue tofu sandwiches rank pretty high. 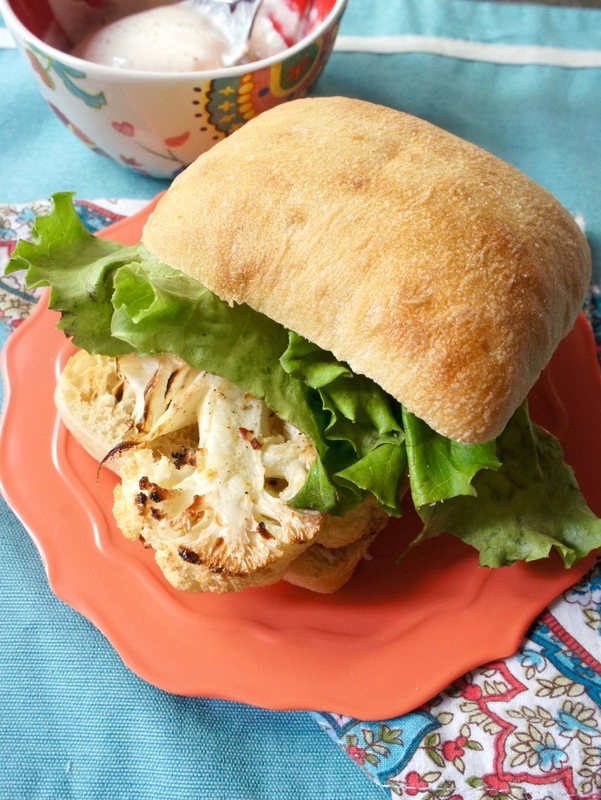 A tasty vegetarian sandwich of pan-fried barbecue tofu and a cool, creamy slaw. Drain tofu and squeeze as much liquid out of it as possible. If time allows, remove even more moisture by pressing tofu. (Place on a paper towel-lined plate and weigh it down with something heavy, like cans or books.) Slice tofu lengthwise into 4 equal slabs. Prepare the slaw: in a medium bowl, combine mayonnaise, red wine vinegar, garlic powder, and pepper. Add shredded broccoli/carrot mix and stir to coat. Set aside. Heat canola oil in a large non-stick skillet over medium heat. Add tofu slabs and cook about 4 minutes per side, or until lightly browned. Reduce heat to low, add barbecue sauce, and cook for another 3 minutes or so, carefully turning tofu to coat both sides. Assemble sandwiches with toasted sandwich thins, barbecue tofu, slaw and pickles (if you like). As a practicing Catholic, my observance of Lent began yesterday on Ash Wednesday. Like most Catholics, I have a love-hate relationship with Lent. No one likes sacrifice, which is exactly what this pre-Easter season is all about, but despite our sometimes begrudging feelings about it, we all can benefit from setting aside some of our own desires for awhile. As I like to remind myself, the hard things are usually the things worth doing. For my Lenten sacrifice this year, I decided not to go with anything to do with my eating or drinking habits. (After last year’s “giving up” wine turned into a total failure.) This time I’m limiting my screen time, including not watching any TV or movies and not using my phone for any purpose while driving. It may sound like a small “sacrifice”–and really, it is–but even a day and a half in, I’m pleased with this choice because it has to do with my use of time, an area in which I’m constantly striving for balance. My former priest used to say “fast so you can pray,” meaning “give something up that will move you to pray.” And certainly giving up TV and movies and cutting back on my attachment to my phone will give me extra time in my day–time I can spend on other, more important priorities like prayer, studying for my upcoming nutrition licensure exam, or reading. GET OUT OF MY HEAD, BRAIN! 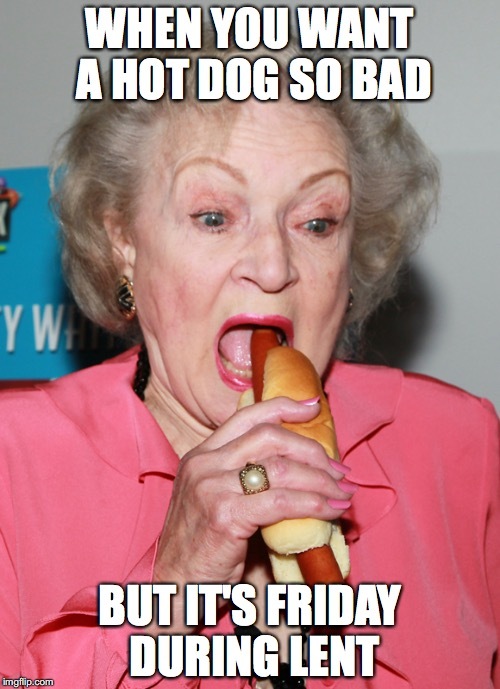 Yes, I did make this Betty White Eating a Hot Dog meme myself. You’re welcome. But I have good news! Fridays during Lent (if you do Lent) don’t have to be meatless misery. 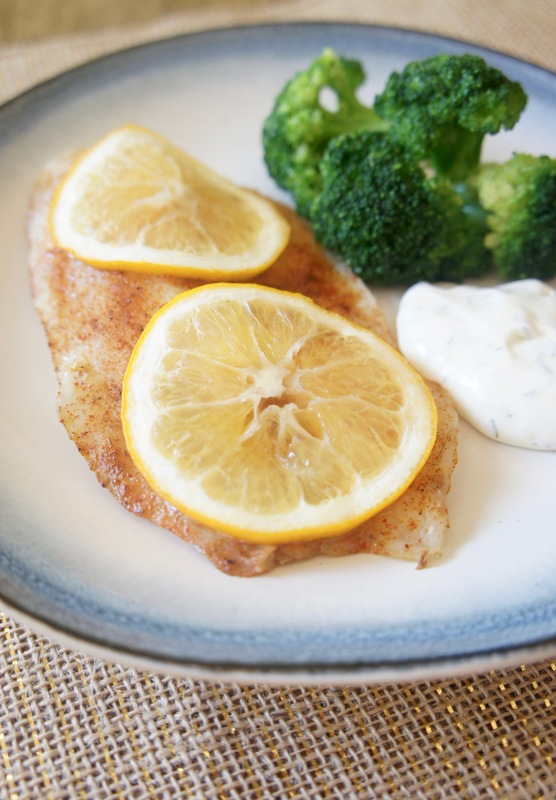 This Cajun Lemon Tilapia with Dill Sauce is an easy, healthy, super flavorful fish entree to help curb those Friday cravings. And if you don’t do Lent, it’s still an easy, healthy, super flavorful fish entree for any day of the week! Cajun-seasoned tilapia topped with zesty lemon slices and paired with a creamy dill sauce make for an irresistible combination. I especially love to serve it over couscous with a side of steamed broccoli. So…do you observe Lent? Or if you don’t, have you ever had and experience where self-sacrifice provided personal growth? I’d love to hear your encouragement, because I really want to watch some Netflix right now. Spicy Cajun-seasoned tilapia combines with a cool and creamy dill sauce in this easy fish recipe. Preheat oven to 425 degrees. Grease a 9 x 13 inch baking dish. Sprinkle both sides of tilapia fillets with Cajun seasoning and salt and pepper. Place in prepared baking dish and top with lemon slices. Bake 12-16 minutes, depending on size and thickness of fillets, until tilapia flakes easily with a fork. Meanwhile, prepare the sauce by combining all ingredients in a small bowl. Serve alongside the fish.